In modern society, countries and territories have declared different animals as their national mascots. Often the natural environment of the region helps dictate these decisions. Other times, the mythology or historical importance of a nation’s ruling family’s coat of arms may have been the inspiration. Ready to travel and see some of the world's most incredible animals? Or browse our list below to find the National Animal that represents your country! Separated into five categories — birds, birds of prey, grazers, predators, and mythical creatures — here are the national animals of over 125 countries. 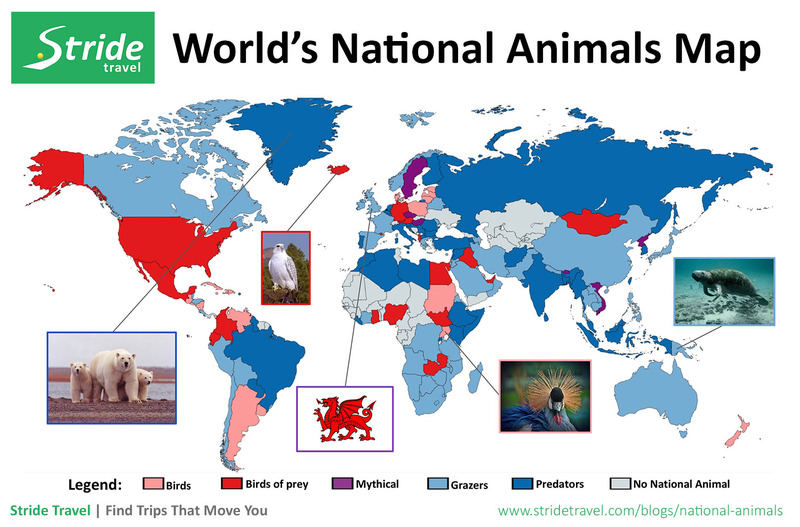 Check out the map below to find your national animal! Sadly, our research revealed that some countries do not appear to have a national animal. What a shame! Sound off in the comment section with your suggestions! Inspired? 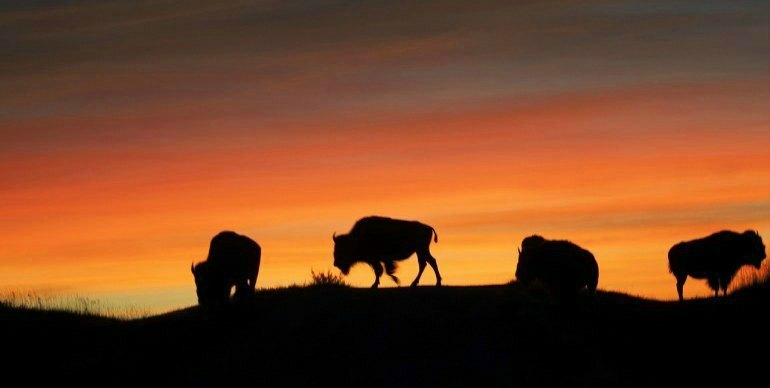 Check out hundreds of wildlife and animal viewing tours around the world. Find your perfect trip in over 130 countries and uncover these animals' home turf! OMG, I love this! Animals & Map - two of my favorite things. Throw in data and insights and its practically heaven. Thanks Striders! Wow, this is amazing - I've never heard of some of these creatures. What the heck is a Chollima?? Very fascinating. Awesome infographic! So many surprising matches. I wonder what what the US mythical mascot would be...I vote for hippogriff! This is really cool, the map looks awesome — surprised by how many countries have mythical mascots!! Wow! Dragons, a Double Tailed Lion, and a Unicorn?? Sweet. Who knew that these are the national animals of some countries! Wow, since when is the Bison a national Animal of the US? Must be a recent development. Awesome!! Great stuff! But why are dragons and unicorns listed as mythical? Could my preschool books and Game of Thrones both be wrong? My favorites, though, are the Rufous-vented Chachalaca from Trinidad and Tobago, and the fact that Iran has no less than six national animals, including the lovable Mugger Crocodile.